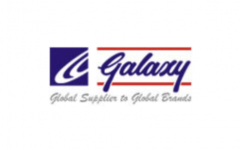 Business description - Galaxy Surfactants is one of India’s leading manufacturers of surfactants and other speciality ingredients for the personal care and home care industries. Its products find application in a host of consumer-centric personal care and home care products, including, inter alia, skin care, oral care, hair care, cosmetics, toiletries and detergent products. Currently, its product portfolio comprises over 200 product grades, which are marketed to more than 1,700 customers in over 70 countries. Speciality Care Products: Over 155 product grades, and includes amphoteric surfactants, cationic surfactants, UV filters, preservatives, preservative blends and surfactant blends, speciality ingredients such as mild surfactants, syndet and transparent bathing bars and proteins, fatty alkanolamides and fatty acid esters, and other care products. While it commenced operations as a local supplier to FMCG companies in India, the company has significantly expanded and diversified scale and scope of operations over the years so as to become a global supplier to FMCG companies across major geographies, such as Africa Middle East Turkey (AMET), Asia Pacific (APAC), Americas (North and South) and Europe. Its diversified customer base currently comprises multinational, regional and local FMCG companies, including, inter alia, Cavinkare Private Limited, Colgate-Palmolive (India) Limited, Dabur India Limited, Henkel, Himalaya, L’ORÉAL, Procter & Gamble, Reckitt Benckiser and Unilever. Galaxy Surfactants IPO allotment status is now available on Link Intime's website. Click on this link to get allotment status. WHAT IS BASIS OF ALLOTMENY? Allotment is out, Thank god I was not allotted any. Any effect of LTCG and budget 2018 on Galaxy IPO. Friends, GMP has gone down serious on GAlxy in recent days and some guys I trust are telling that deals are happening below 100 too. Galaxy may still list good but think twice before applying in IPOs now. I hope I don’t get allotment in this. I’m still hopeful Galaxy lists at premium but things are bad, very bad after this LTCG introduction. Looks there is more downside in the markets. What does the sharp correction in markets mean f or Galaxy IPO? Still profitable listing?? This website is very useful and provide us valuable information about all IPO timely and thanks a lot for this. GMP 450 so it should list at 1900+. I think 2000+ is also possible on listing day!! Specialty chemicals is not the kind of business where high double-digit growth rates are a norm. What it means is that the demand will continue to grow at low yet steady rates but companies will need to take active steps for protecting and growing margins. This is precisely the reason why listed specialty chemical stocks trade at lower multiples while Galaxy is offering shares at high multiples. No doubt, it is a good company, just sharing my two cents. Good information! This is why I come on this website. @bullsinha I guess what it means for investors like us is that we should keep booking profits. Do you suggest we sell at listing? Ye apply karne layak hai k nahi ? Company has offered only 35% shares to the public / retail investor which means that financial institutions have shown great confidence in the company and will buy 65% of the offered quantity of IPO. Certainly positive…. keeping in view of the valuation of the company, IPO is rightly priced and certainly it will list around RS.1750 as per my perception. Does this ipo looks positive ?